Simply put, we need foster homes! What is the foster program through Saving Grace? 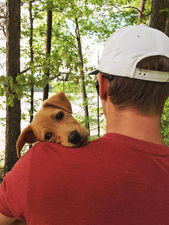 It's a program that provides temporary homes for housing our puppies and adults that aren't ready to stay at Saving Grace for a variety of reasons. We can provide the supplies needed such as crates, xpens, bowls, food, toys and lots of support. You just need the time and some space to safely care for these young dogs for several weeks. The pups that need a foster home - puppies either 1) are old enough (must be at least 10 weeks old) or 2) have not had all age appropriate vaccines. Some puppies are both too young and not properly vaccinated and need a foster home until they reach both milestones. Others just need foster care until they receive their proper vaccinations. 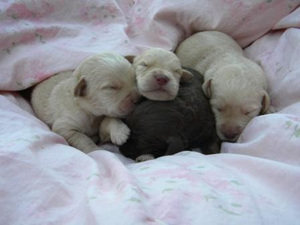 The foster time for puppies without moms is a minimum of 3 weeks. The adult dogs that need a foster home - the moms that come with young pups will need to stay with them until they are 8 weeks old at which time mom can return to Saving Grace. The pups will stay in foster care until 10 weeks old though. We also need recovery homes for dogs living at Saving Grace that have had a major surgery such as an amputation or eye removal. The recovery foster time is usually 10 days to 2 weeks. There may be other cases where the time frame on recovery is longer depending on the dog and circumstances. 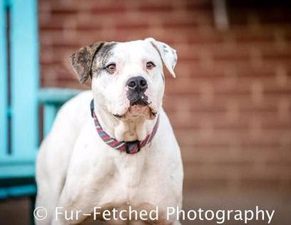 Dogs that don't need a long term foster home - any dog posted on our website is adoptable and has a place at Saving Grace. These dogs are able to run and play every day on site and meet potential families Monday through Friday during appointment times. We do offer a Weekend Program for these dogs so they get a chance to experience some time away from Saving Grace and what it is like to be in a home. The Weekend Program is offered about every other weekend and we just happen to have one this weekend, see below! Please follow us on Facebook to keep up with the weekends offered and to take one of our fabulous dogs home. So, once again, we really need foster homes. Would you be willing to try fostering out? Please consider it and send an email to [email protected] for more information. Will you Foster a Dog This Weekend! We have another foster weekend coming up this Friday through Sunday. Will you take a deserving dog for the weekend to give them a break? This has been such a great experience for not only our dogs but also for the families that have opened their hearts and homes to our dogs who are awaiting families of their own. It gives potential adopters a great view into how the dog behaves in a home and has really helped dogs get adopted even faster. Weekend foster pick up is Friday 6:30 pm and drop off is Sunday at 5 pm. [email protected] and they will provide you with everything you need to know to have a wonderful weekend with a foster dog. Thank you for supporting this program! Jojo is an absolute dream!! He is a 3-4 year old American Bull Dog who puts a whole new meaning to the word "chill". He is absolutely lovable and super sweet and gets along with ALL dogs and horses. He isn't moved by much of anything and perfectly content to lay around and enjoy the outdoors observing all the others at play. JoJo likes to go on car rides too. He is a little shy at first but very affectionate once he warms up. 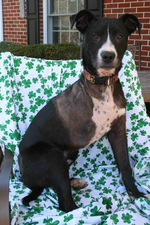 If you know someone looking for a super chill laid-back and lovable dog please tell them about Jojo. If you're done with your Spring cleaning and have some spare linens we really need some. We can also always use help with laundry if you're willing to pick up a bag or two from the pink bins in the parking lot. We also need some canned dog food as we are very low again and our picky eaters appreciate it. You can order this through our Amazon wishlist. Donations can be left in the shed outside of our gate. Thank you for always coming to our rescue! Does your doggy need a mini spa day? 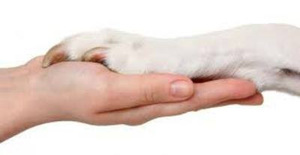 One our wonderful supporters, Bark Grooming, are donating their time to give nail trims, filings, ear cleaning, and pad cleanings at Pet People on Leesville Road this Saturday, June 2nd from 1:15 pm to 2:30 pm. All proceeds will benefit Saving Grace Dog Adoptions. Checks and cash will be accepted. Bring your pup by for a mini-spa day and help out pups in the process! Just wanted to say thanks for giving us the absolute best addition to our little family! Millie (formerly Emma) has been such a joy! We can't get enough of her! 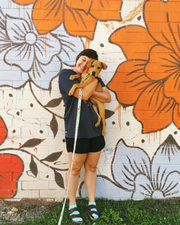 She loves hikes, camping, walks through the downtown area, her doggie friends, kids, and people in general! !